The meaning of Corinne's name could not suit her better. 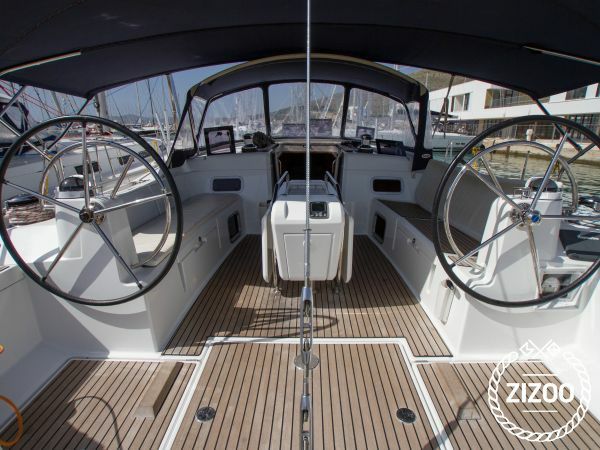 She is a gorgeous and elegant 2013 Jeanneau Sun Odyssey 509, and just one look at her says it all. You will fall in love instantly, trust us, she has that effect on everyone. Unbelievably spacious interior as well as exterior will make you never want to leave. Enjoy long sunny days and warm summer nights cruising the Trogir area, where every place you visit will tell you a story of days long gone. Hvar, Split and Trogir each boast a spot on the UNESCO World Heritage List, and you simply must have a look around. Discover local life from ancient Greece onwards, so colourful and lively that you can easily imagine the same buzzing markets, streets and squares back in the day. Stock up on local produce before you set sail again and hit the waves to another adventure. Your charter team will have her ready for you, and make sure you have everything else you might need during your stay.